My biggest pet peeve lately is that we do not have a window treatment for our kitchen window. I have been thinking that a bamboo shade would look good in this space, however, my sister recently bought these cute valances from Target for her home and I really am liking them too! I love both options!!!! 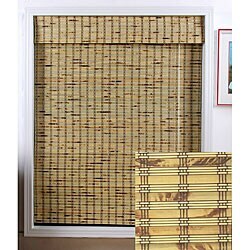 The bamboo shade would add a nice contrast to our dark cherry cabinets and give us full privacy for that window. It also goes well with our bar stools. The valance will add some color to the space and matches well with our granite counter tops. The grommets also match the grommets on our kitchen slider. There are also panels that go with the valance. 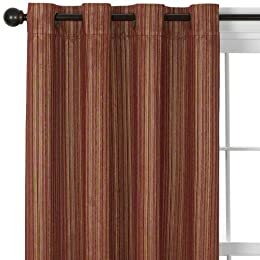 I could change out the slider drapes to match this valance and use the slider drapes in the great room instead. Oh, the decisions.... Which option do you think would look best, the valance or the bamboo shade? Another thing to consider is that the valance has matching panels. I could buy the panels and move these brown panels to the naked great room windows that you can see to the left of the slider. Oh, the decisions!!!! What a gorgeous kitchen! I would go with the bamboo shade. I think you're right, it does go well with the bar stools and it would be nice to have the option of full privacy. Also, just a personal opinion, I think valances can sometimes look dated. 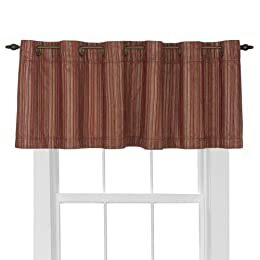 Plus, there doesn't appear to be much room on either side of that window for the curtain rod to extend, so a shade that mounts inside the window frame may be easier to hang. Love the brown panels on the slider too! I'd go with the bamboo shade - but I personally would choose a darker and richer bamboo to complement your cabinets, not to contrast them. I'm biased against valances though, so take that into account. Also - for your great room, I'd go with similar brown panels to the slider panels - the rooms flow into each other - so at least pick something that coordinates with the solid brown. My vote is for the valance! Could you do both - the valance & the shade, or is that dumb & I have no taste!? HA! Bamboo shade! Totally goes with your look... love it!! ;) beautiful kitchen!!! Oh oh oh pick me! I have decor ideas spinning like a tornado in my head right now too. What if you hung the valance higher than the window (so that the bottom of the valance touched the top of the window framing) and then hung the bamboo shade the normal way? Does that make any sense? :) I love to hang my valances a little higher because it makes the walls look taller. 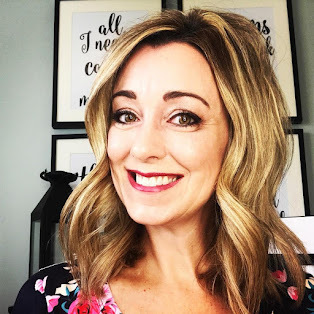 I really like the valance Karen! It's so classic and the colors are warm. Love it. I do need to give up something for Lent as well. Chocolate sounds like a good idea to me too. Many blessings to you all this weekend. Can you do them both? I like them both, and the colors seem to go well. That way, you have the best of everything. Just an idea. Probably an $$$ one. Good luck!